The Bardolino wine area is one of the most fascinating areas of Italy thanks to the stunning Lake Garda, which transforms this particular part of Veneto into a Mediterranean paradise where olive groves, lemon orchards, palm trees and vineyards dot the landscape. Nestled amongst these are the wine relais – villas in the middle of vineyards which often house a restaurant or hotel (often both). One of the finest examples of these relais is Villa Cordevigo, a five-star country hotel originally built in the eighteenth century. 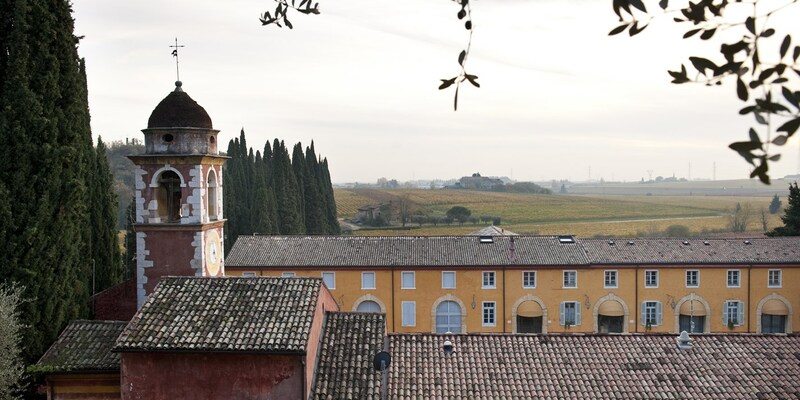 The 100-hectare estate sits on the hills of Cavaion Veronese above the lake and just a few kilometres away from Verona. 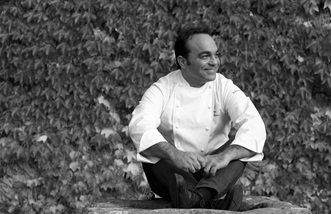 It’s also home to the Michelin-starred Ristorante Oseleta, headed up by chef Giuseppe D’Aquino. Located in the building’s portico (locally called a barchessa), the restaurant retains all its historic charm and rich elegance. The dining room is warm and welcoming, with soft furnishings and dazzling white tablecloths that look right at home in the lavish country home. It’s here that Giuseppe takes his guests on a journey through Campania (his childhood home) with hints of the Amalfi coast, before bringing it home to Veneto, where he has lived for the past eight years. By combining these different cuisines – one from the south, one from the north – he delights diners through a clever fusion of techniques, tradition and flavours. 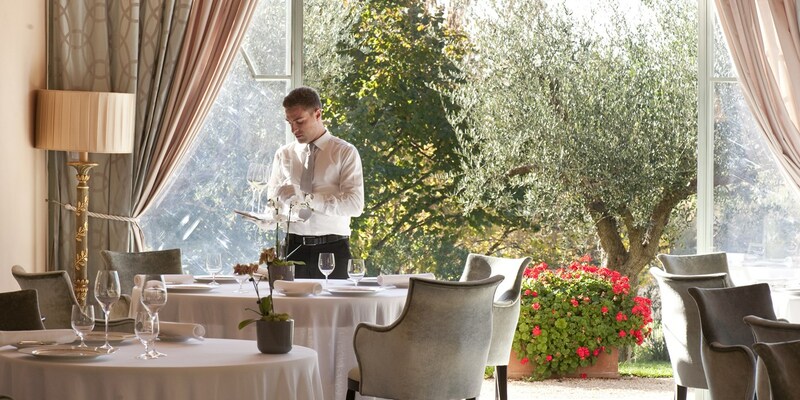 As well as the à la carte, the full, immersive experience at Ristorante Oseleta comes in the form of three tasting menus that change with the seasons and depend on the produce available around Lake Garda. 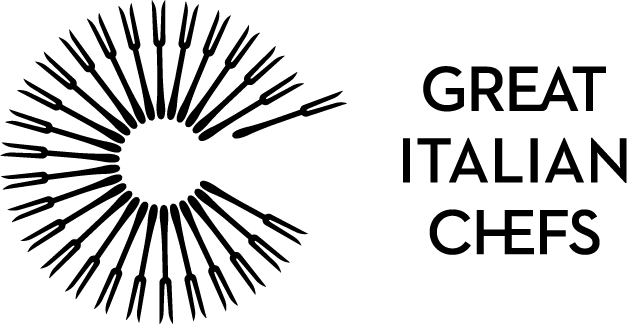 There’s ‘My Way’, a nine-course menu where Giuseppe personally creates and chooses each dish, ‘Since 2010’ which features eight plates of more historic and traditional flavours, or ‘First Love’, a six-course menu made up of the chef’s favourite creations. 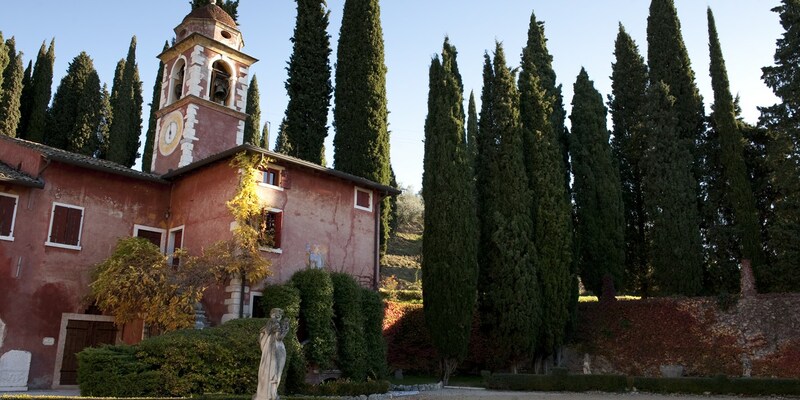 Villa Cordevigo also features a small wine cellar below the estate’s chapel, which offers tastings throughout the year. You can even try the estate’s own Vigneti Villabella wines, including Bardolino, Custoza, Lugana, Soave and Valpolicella varieties. Giuseppe loves tomatoes so much that he has dedicated an entire category on his à la carte to the quintessential Italian fruit. His most famous signature dish is spaghetti with Piennolo tomatoes, burrata and lemon peel. You can turn your visit to Ristorante Oseleta into an overnight stay at the villa, where many of the rooms are decorated with rich fabrics, period furnishings and wooden ceilings.